People use the term “modern” in a variety of ways, often very loosely, with a lot of implied associations of new, contemporary, up-to-date, and technological. We know the difference between a modern country and a third world country and it usually has less to do with art and more to do with technology and industrial progress, things like indoor plumbing, easy access to consumer goods, freedom of expression, and voting rights. In the 19th century, however, modernity and its connection with art had certain specific associations that people began recognizing and using as barometers to distinguish themselves and their culture from earlier nineteenth century ways and attitudes. Chronologically, Modernism refers to the period from 1850 to 1960. It begins with the Realist movement and ends with Abstract Expressionism. That’s just a little over one hundred years. During that period the western world experienced some significant changes that transformed Europe and the United States from traditional societies that were agriculturally based into modern ones with cities and factories and mass transportation. Here are some important features that all modern societies share. Capitalism replaced landed fortunes and became the economic system of modernity in which people exchanged labor for a fixed wage and used their wages to buy ever more consumer items rather than produce such items themselves. This economic change dramatically affected class relations because it offered opportunities for great wealth through individual initiative, industrialization and technology—somewhat like the technological and dot.com explosion of the late 20th and early 21st century. The industrial revolution which began in England in the late 18th century and rapidly swept across Europe (hit the U.S. immediately following the Civil War) transformed economic and social relationships, offered an ever increasing number of cheaper consumer goods, and changed notions of education. Who needed the classics when a commercial/technically oriented education was the key to financial success? The industrial revolution also fostered a sense of competition and progress that continues to influence us today. Urban culture replaced agrarian culture as industrialization and cities grew. Cities were the sites of new wealth and opportunity with their factories and manufacturing potential. People moving from small farms, towns to large cities helped to breakdown traditional culture and values. There were also new complications such as growing urban crime, prostitution, alienation, and depersonalization. In a small town you probably knew the cobbler who made your shoes and such a personal relationship often expanded into everyday economics—you might be able to barter food or labor for a new pair of shoes or delay payments. These kinds of accommodations that formed a substructure to agrarian life were swept away with urbanization. City dwellers bought shoes that were manufactured, transported by railroads, displayed in shop windows, and purchased only for cash. Assembly lines, anonymous labor, and advertising created more consumer items but also a growing sense of depersonalization. The gap between the “haves” and the “have nots” increased and were more visible in the city. Technological advances such as industrialization, railroads, gas lighting, streetcars, factory systems, indoor plumbing, appliances, and scientific advances were rapidly made and these changes dramatically affected the way people lived and thought about themselves. One consequence was that people in industrialized areas thought of themselves as progressive and modern and considered undeveloped cultures in undeveloped countries as primitive and backward. Modernity is characterized by increasing secularism and diminished religious authority. People did not abandon religion but they paid less attention to it. Organized religions were increasingly less able to dictate standards, values, and subject matter. Fine art moved from representing human experience and its relationship to God’s creation, to a focus on personal emotions and individual spiritual experiences that were not based in any organized and institutionalized religion. The modern world was extremely optimistic—people saw these changes as positive. They welcomed innovation and championed progress. Change became a signifier of modernity. Anything that was traditional and static signaled outmoded, old-fashioned, conservative and was to be avoided by the new modern public. Modern Europe and the U.S. internalized these positions and used modernity as a way of determining and validating their superiority. The nineteenth century was also a period of tremendous colonial growth and expansion, in the name of progress and social benefit and all of these activities were spearheaded by newly industrialized western countries. Many artists closely identified with modernity and embraced the new techniques and innovations, the spirit of progress, invention, discovery, creativity and change. They wanted to participate in creating the modern world and they were anxious to try out new ideas rather than following the more conservative guidelines of Academic art. This is not to say that these mid-nineteenth century artists were the first to challenge an older generation or set of ideas. Many academic artists had argued over formal issues, styles and subject matter but this was much like a good natured agreement within a club; everyone in the group agreed to disagree. By the mid-1850’s polite academic disagreements were being taken out of the Academy and onto the street. Artists were looking increasingly to the private sector for patronage, tapping into that growing group of bourgeois or middle class collectors with money to spend and houses to fill with paintings. 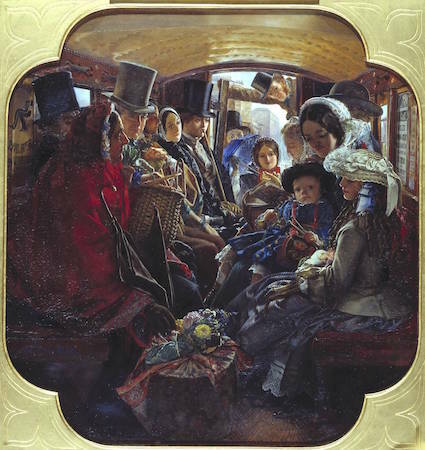 This new middle class audience that made its money through industrialization and manufacturing had lots of “disposable income”, and they wanted pictures that they could understand, that were easy to look at, fit into their homes, addressed subjects they liked. Not for them the historical cycles of gods, saints and heroes with their complex intellectual associations and references; instead, they wanted landscapes, genre scenes, and still life. They were not less educated than earlier buyers, but educated with a different focus and set of priorities. Reality was here and now, progress was inevitable, and the new hero of modern life was the modern man. Modernity is then a composite of contexts: a time, a space, and an attitude. What makes a place or an object “modern” depends on these conditions. 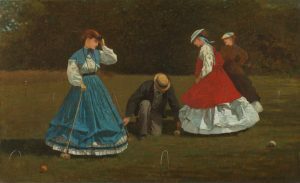 Throughout the 19th century there were artists who produced pictures that we do not label “modern art” generally because the techniques or subjects were associated with the conservative academic styles, techniques and approaches. On the other hand, modern artists were often called the “avant garde.” This was originally a military term that described the point man (the first soldier out)—the one to take the most risk. The French socialist Henri de Saint-Simon first used the term in the early 1820’s to describe an artist whose work would serve the needs of the people, of a socialist society rather than the ruling classes. 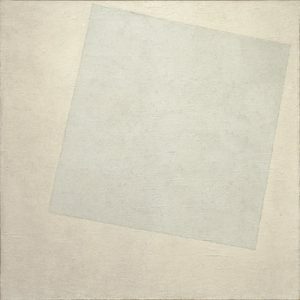 The avant garde is also used to identify artists whose painting subjects and techniques were radical, marking them off from the more traditional or academic styles, but not with any particular political ideology in mind. Avant garde became a kind of generic term for a number of art movements centered on the idea of artistic autonomy and independence. 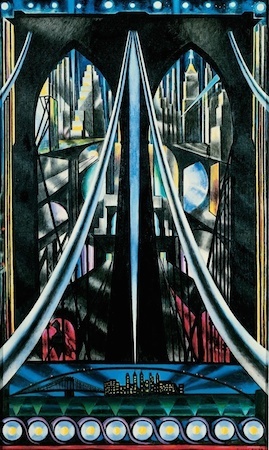 In some cases the avant garde was closely associated with political activism, especially socialist or communist movements; in other cases, the avant garde was pointedly removed from politics and focused primarily on aesthetics. The avant garde was never a cohesive group of artists and what was avant garde in one nation was not necessarily the same in others. 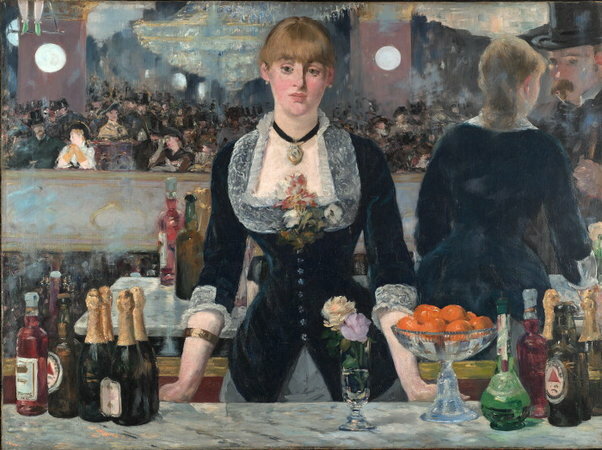 Finally, although modern artists were working throughout many countries in Europe and the United States, most 19th art and much 20th century modern art is centered in France and produced by French artists. 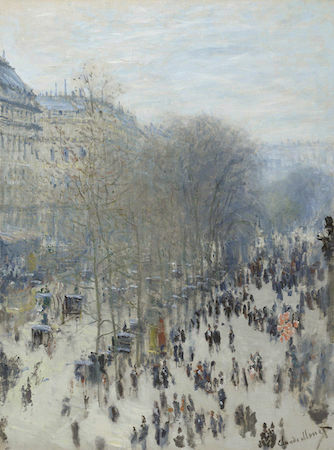 Unlike England which was politically stable in the 19th century, France went through a variety of governments and insurrections all of which provided a unique political and cultural environment that fostered what we know as modern art. Originally published by Smarthistory under a Creative Commons Attribution-NonCommercial-ShareAlike 4.0 International license.